What is Victoza (Liraglutide) used for? 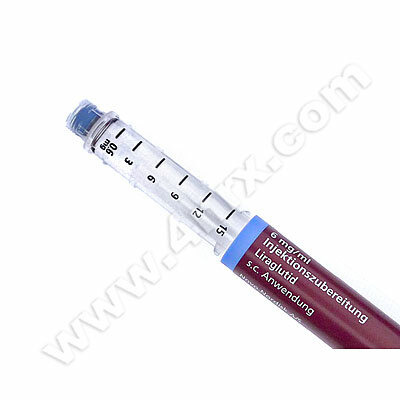 Victoza (Liraglutide) is an injectable medication prescribed to treat hyperglycaemia in patients with type 2 diabetes. The medication is injected directly into the skin and operates by reducing elevated glucose levels in the blood to prevent symptoms such as faintness, severe fatigue, blurry vision, increased urination, or seizures in severe cases. This treatment is normally administered along with a balanced diet and regular exercise to get the most effective results from treatment. This medication needs to be refrigerated and is only available via courier services. How should I use Victoza (Liraglutide)? Victoza (Liraglutide) should always be used according to your doctor`s instructions to get the safest and most effective results from treatment. The correct dosage will be determined by your age, weight, health condition, and the severity of your symptoms. To administer the medication remove the cap from the pen, ensure the correct dosage is dialled into the pen, and inject it into your leg or another designated area recommended by your doctor. The first time you use the pen it will be necessary to prepare it by sterilizing the rubber stopper, attaching a needle cap, removing the inner needle cap, and removing any air from the pen. To remove the air hold the needle upright, turn dosage selector to the flow test indicator, and press the applicator down. Repeat this process until one drop of medication emerges from the needle. Ask your doctor if you have any questions about using or preparing the medicine to ensure the correct administration. What are the side effects of Victoza (Liraglutide)? Stop using the medication and contact your doctor immediately if you experience any serious side effects such as unusual swelling, a lump located in the throat area, hoarseness, severe fatigue, urinary retention, pancreatitis, or signs of an infection such as fever, flu symptoms, or easier bruising. These symptoms may require lower doses, reduced application frequency, or emergency medical attention in serious cases to prevent further complications from occurring. Victoza (Liraglutide) should not be used to treat patients who are pregnant, breastfeeding, under the age of eighteen, or who have type 1 diabetes, diabetic ketoacidosis, severe kidney failure, impaired liver function, or inflammatory bowel disease. Also inform your doctor if you have hyperthyroidism or heart failure as these conditions may lead to unexpected complications requiring adjustments to your treatment. 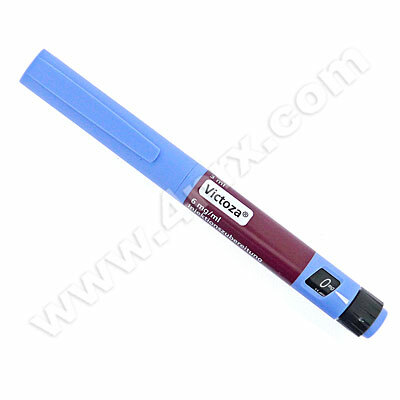 Strictly use Victoza (Liraglutide) as prescribed and follow all instructions provided by your doctor. Safe, suitable, and optimum dosage can vary and is dependent on the patient`s health and medical history, as well as the condition you are treating. Victoza (Liraglutide) may not be safe or suitable for all patients. Always ensure your doctor is informed if you are pregnant or breastfeeding, using any other type of medication (including non-prescription medicine, vitamins, and supplements), as well as if you have any allergies, other illnesses, or pre-existing medication conditions.